I was in communication with my sister regarding her upcoming trip to visit us for a week this month and she asked me to pick up 4 beach towels they can take with them to the water parks so she would not have to pack them for air travel. Then, after the trip, she could leave them here for her next trip. I responded that I would hold them for a year but after that, I would use them. She laughed and said I could use them anytime I want. I replied, jokingly, that the pretty bright colors would fade as the towels were exposed to chlorine and repeating washing. Then I joked that I sounded just like our mom. Then I realized I was only semi-joking. I did mean it about the towels being saved for a future trip and I would have kept them in anticipation of my sister's future return. My mom does not express feelings well and is rarely able to graciously accept a gift with a simple thank you. She must have some feelings of discomfort in receiving because she either tells you why your gift is silly or tells you how she is going to improve on it – all while sincerely saying thank you. You see, she is grateful for a gift, she just cannot handle the feelings behind them comfortably.. . . . I had a very expensive sapphire and diamond necklace. I had worn the necklace whenever I wanted to feel good for several years. Then I read an article about sharing the feelings we get from certain things in our lives. I decided to share the necklace. I wrote a sweet story about the legend of the necklace and gave it to my mother for Christmas two years ago. She could not comprehend the purpose of the necklace. She, (who is a very generous woman who will give you her last dollar and the shirt from her back) could not understand the concept of sharing the necklace. She didn’t understand the point of sharing the feelings. I was disappointed and frustrated because I still had not grasped her need to take the focus off herself when she receives a gift. She has to remove the sentimentality before she will feel worthy enough to accept it graciously. Once I finally understood this I could begin to give her gifts without my own expectations leaving me in tears. Her birthday is this week. (this was written in 2011) I was at her home recently and saw that she needed towels. I decided to send her a gift of new towels. She can toss every old towel in her closet now. 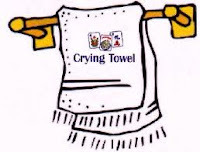 (she still has towels used for my children in the 1980s.) She called to thank me, laughing, which means she is grateful but uncomfortable. I have misplaced my mommy-to-daughter lexicon so I am not sure how to read the signs anymore. Mom: Why are you sending me towels? Me: Um, I think the birthday card and gift wrap should be a good hint. Mom: I am not done with mine yet. Where am I going to find a dryer big enough to dry these bath sheet ones? Me: I know your dryer and they will fit fine. Mom: Oh I better save quarters for the dryer because they will take forever in the dryer. Me: I am sure they will dry fine. 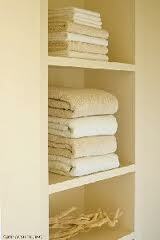 You are only 1 person so it is not like you will be using every towel at once. Mom: What made you think to get me towels. Me: Um, because yours are threadbare mom and I can see thru them. Mom: well I am not done using them yet. I will put these away. Now my mom is not a hoarder by any means. I do not remember her ever having a trouble tossing something out. When I was growing up she regularly through out ALL our toys when we did not clean our room for weeks at a time. Me: Mom your towels consist of strands of cotton holding hands. I bought these for you to use. Mom: I am not going to use them until you and Larry come to visit next. I want you to be the first to use them. Me: I don't want you to wait for me. I want you to enjoy your towels fresh and new. Mom: No, I AM WAITING for you and Larry. Me: Great, we will be there next week. . . . .
Not really. I just said that to end the conversation. She knows good and well that we are not coming up again until after the holidays. Now, many months later, we are planning a trip up to NY. Larry and I will use my moms new towels. (I was not allowed to use them when I came up to visit by myself). I will give mom a roll of quarters for the dryer and I will wash and dry the towels to see that they can be done easily. And then, when my mom is not looking, I will cut up all her old towels into the rags they not-so-secretly became a long time ago. Not that I am trying to control the universe or anything. . . . . In 2012 we did go and visit and we did use some of the towels. I did not try to control my mom and destroy her old towels. Four weeks later, I have not thrown out the towels used to protect the breakables during their trip to our home. Mom's birthday is this Sunday. I think this year for Mom's birthday I will be crying. It is a good thing I have some of her towels. PS: Other than that, I am doing well - planing my daily food needs, exercising, maintaining relationships and even taking some me time for my nails yesterday and next week I have an appointment to get Botox for my frownie forehead. I hope you all have a nice weekend keeping the pounds off, one meal at a time. This post touches me on many levels...it's beautiful. In fact, I think you could submit it for publication somewhere. The understanding you now have is priceless. It reminds me a little of my grandmother, who is still alive (remember I posted about her falling in her bathroom) and now in a nursing home. My dad was 1933 and Mom was 1940. Neither of them had the Depression Era training that you would expect. I think Dads family was already so poor they didn't notice a difference in the depression. If anything, they felt like their belonged with everyone else got poor with them. After that they rallied and while never rich, never treated their belongings like they had to make them last. They always tossed out and bought new. KLCA - Thank you. I think we can always learn something new about ourselves from spending time thinking about our parents and grandparents. Even more growth came when I spent time with them while they were living - I practiced absorbing the experiences without immediately reacting to them. Sadly, I lost each of them just when I was getting good at it. Mom's was different. Her dad died when she was 12 and she was raised by her mom. My mom used all her sheets (and liked to buy new and use them). She bought new furniture and clothes and curtains and jewelry. She bought new and tossed the old, but never towels, flatware, dishes, cups, or cookware/bakeware. Those were from the prehistoric age. I bought her all new flatware, cookware and cooking utensils and she used them - but would not part with the old, either. Tell me, why is everything in the dresser still sitting there, unused? Well, my father died in May 2006 and then my mother only 8 months later. My brother and I were just exhausted from having cleaned up all the assorted detritus of his life, both literal and figurative -- my parents lived in the house for over 40 years and they were "hoarders," on a small scale -- the basement and attic are just full of tools, old appliances, things that came from the homes of OTHER dead relatives, boxes of who knows what, etc. We did donate/trash his clothing and there was a lot of legal work to do (no will for either of them so lots of lawyers, paperwork and years to settle the estates) and when our mother died, we honestly just did not have the energy to tackle it all. I live 60 miles away so I'm not there to do it a bit at a time. He owns the house outright and does not need to rent the empty apartment for income so it just sits there. Some day we are going to have to get to it; rent a dumpster and get rid of decades worth of old furniture and ancient TVs and canned goods...I'm not looking forward to it and neither is he, so we just never do it. What an amazing memorial to your mom. I love you in bunches. Such a lovely post. It was my birthday a couple of days ago, and I have been on the verge of tears many times, because I miss my parents. Mom died 1 1/2 years ago, and my dad died 18 years ago. I am not usually like this, and thought that I had already mourned. Interesting how ingrained these very close relationships are. Many small things can trigger memories and feelings. Thanks for sharing. what a sweet post about your mom. I hope you get through her Birthday without to many tears. Your mom was right. She was not quite done with the old ones. She had to wrap up her own version of a sapphire necklace to give to you. Use the china and the glasses. Time waits for no one. Lovely post Jane. God bless your mom.